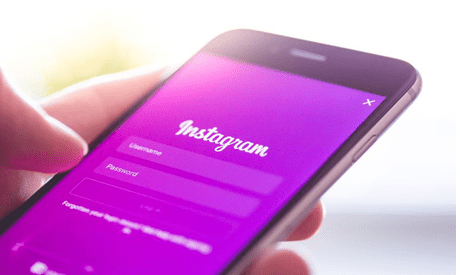 Without doing something to grow your Instagram following, you just cannot reap the amazing benefits associated with this social media platform. The more followers you have, the higher the chances of you making your products and services sell. You can also make your campaigns function better with a good following on your account. It is worth mentioning that many people think they can buy followers online and make everything fall into place. 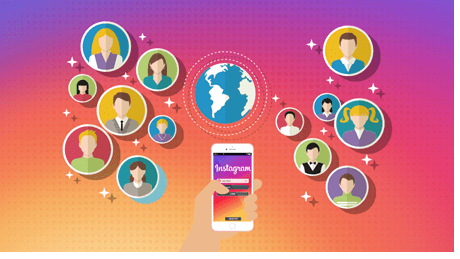 The truth is that only the finest companies with knowledge about Instagram algorithm can help you in this regard. Gram Blast is a good option to consider because they know how to get your unique and genuine followers that matter. Other than trying paid services, you can take many steps to improve your presence on Instagram and get more likes with followers. Let’s find out more about it. One great way of promoting your Instagram business profile is to let your customers know about it. Include your Instagram handle on all your packaging and marketing materials so that anyone purchasing your stuff and is looking forward for more stuff from you in the future or want to give the feedback about your product can easily follow you. Influencer’s posts play an important role in uplifting your Instagram profile. Approach the right influencer`s in your field. For instance, if you are dealing with the beauty products a model or maybe a dermatologist with a good fan following will serve the purpose. Send some of your products as a PR package and ask the influencers for posting it on their wall. This will get your product featured to a greater number of audience. Some influencers even ask for monetary charges on each referral. Commenting often has greater influence than just liking. Make your presence on Instagram noticeable. Interact with your followers on their posts by commenting on them. Your comments will make your Instagram handles more approachable by the viewers and will give you more exposure. Competitions and giveaways always help in increasing the Instagram following. If you host a contest which involves tagging other Instagram friends, it will be even more fruitful. Tagging new people on your posts will bring new followers to your profile. Additionally, your profile will get featured among the followers of your current follower as well as among the followers of the tagged friend. Your marketing campaign will be more successful if you give the people an incentive for following your profile and buying your products. Don’t just ask the people to follow you instead make your marketing strategies purposeful. Like you can collaborate with some NGO or fundraising organization, and people will get an incentive for buying your products and contribute to charity both at the same time. Or you may post makeup tutorials along with featuring your cosmetics brand. Some Instagram tools are very helpful in enhancing your profile and promoting your business. Piqora is one of the best Instagram tools when it comes to analyzing the engagement of your followers. It keeps a close check on your posts and tracks the reaction pattern of your followers on each post. It also analyzes the usage and outcome of a particular hashtag by different Instagram users. Word dream is an amazing graphical tool which is easier to use. It can automatically convert your desired photo into an Instagram worthy image. It gives you an option of customized editing as well. You can also edit your photos by adjusting colors, filters, text layout, and design according to your requirements. Word dream also provides you with a vast collection of quotes which will save you from the hassle of searching it all around. Repost is a useful and handy option if you want to post stuff from other user`s wall. It saves you from the trouble of saving pictures and remembering the original posters name. You can directly share photos from the other Instagram profiles with due credits to the original posters on your wall with the help of repost. It supports editing original content as well.